ELF-LOCKS, FAIRY-lOCKS, WITCH’S KNOTS and DREADLOCKS – The Cultivation of the Wild Woman Spirit – Can Hair Mirror the Soul? My new babies were birthed on August the 1st 2013. In a field whist camping! Sometimes, do you need to destroy a thing in order for something new to rise out of the ashes? I chose to sport Elflocks because I wanted to foster that Wild Woman Energy that I felt had diminished a little since pregnancy, birth and ‘big change’. They are only 2 weeks old in these pics. I love my new-borns, all 39 of them. 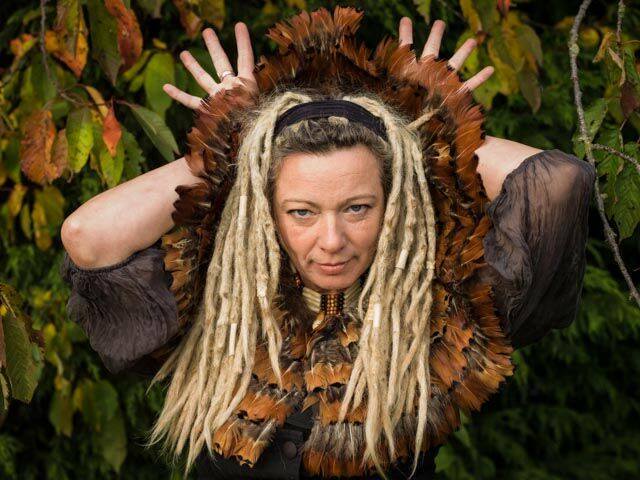 When I was young, whenever I saw another woman with dreads I was in awe of her confidence. I wanted some of that confidence and wildness to rub off on me! 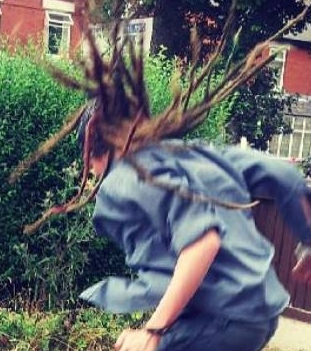 I didn’t realise it until I wanted ‘proper’ dreads that they were different kinds. Hoby had the skills and was happy to give me what ever style I wanted. 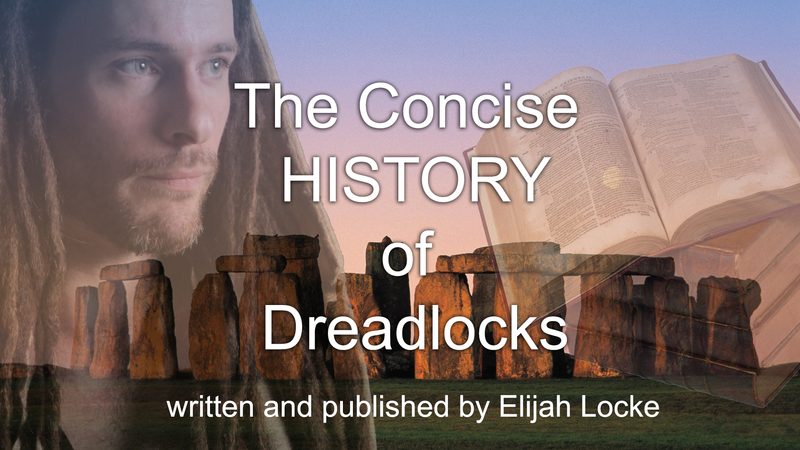 I am glad that I discovered the folklore of ELF-LOCKS, FAIRY-LOCKS and WITCHES KNOTS because DREADLOCKS didn’t quite sit right. The reasons for having my hair like this bore no link to the usual stereotypes. 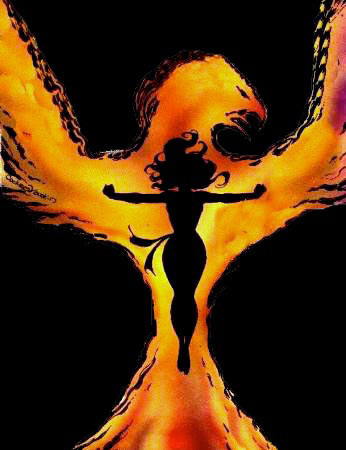 The affinity I felt was with that ‘Wild Woman’ archetype‘, with that confidence and ancient feminine wisdom. A truly Witchy Woman is complex. You can not put labels on her. I chose to have Locs to mark this important Rite of Passage in my life. Being pregnant and giving birth were amazing and incredibly empowering. I loved it. Becoming a first time mum in my forties simply knocked the stuffing right out of my body, lol, and for a short while, my confidence. Hoby was up for the challenge, lol. I am hoping my hair will be a cool ‘tool’ to help me on my path of deeper self-development and awareness. I am hoping that they might outwardly reflect back to me a feeling, still in the process of exploring, that I have on the inside. I have had them put in cos they suit me and simply look AWESOME!!! lol. Thanks again to my dear friend and Dread Technician Hoby Lopan Mcflobo. An incredibly sweet and genuine guy. For more information and If you would like to be transformed by Hoby, for now, you can contact me or him via the ‘Contact Me’ page on this site. ELF-LOCKS, FAIRY-lOCKS, WITCH’S KNOTS, DRUID-LOCKS and DREADLOCKS – The Cultivation of the Wild Woman Spirit – Can Hair Mirror the Soul? Some may think the title of this blog is a bit bonkers! Maybe it is. Is it as barmy as destroying ones almost waist-length, top condition, socially acceptable, naturally beautiful crowning glory? It takes courage and a free spirit to toss aside the pressures of our culture, and embrace who we in our hearts. 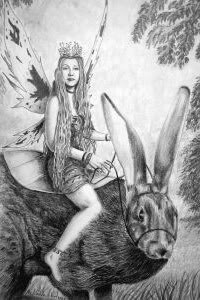 When young children, especially girls, wake from an evening’s slumber with tangles and snarls in their hair, mothers with a tradition of fairy folklore might whisper to their daughters that they had caught fairy locks or elf-locks. Fairies, they say, tangled and knotted the hairs of the sleeping children as they played in and out of their hair at night. How sweet and magical is that? I do love this bit of folk-lore. Wikipedia has a small reference to Fairy or Elf-locks…. another source says the first known usage of the term comes from 1592! Shakespeare references such elf-locks in Romeo and Juliet in Mercutio‘s speech of the many exploits of Queen Mab, where he seems to imply the locks are only unlucky if combed out. 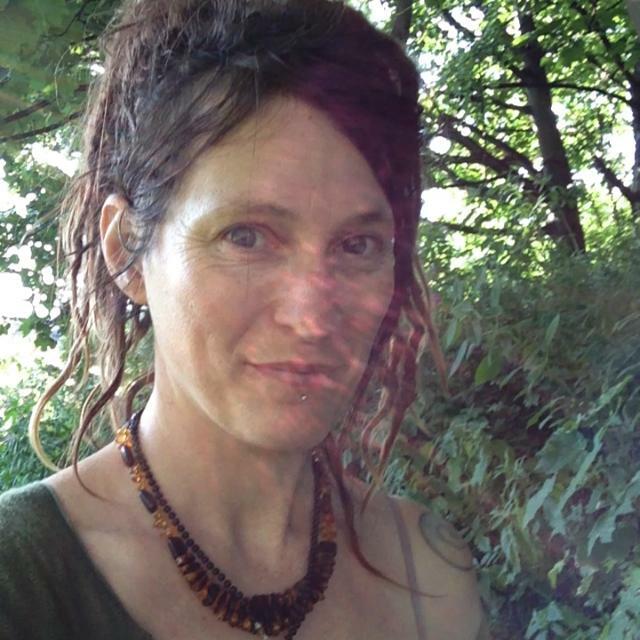 “She is the fairies’ midwife, and she comes In shape no bigger than an agate stone……. 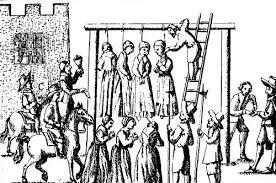 In the Middle Ages horses found sweating in their stalls in the morning, with manes all knotted were said to have been “Hag Ridden”. 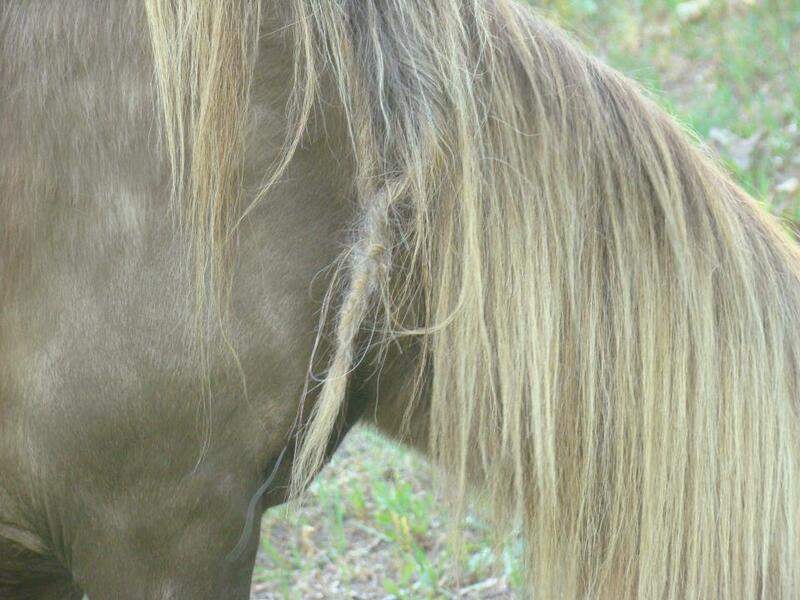 The tangles in their manes were known as “Witches’ knots”. 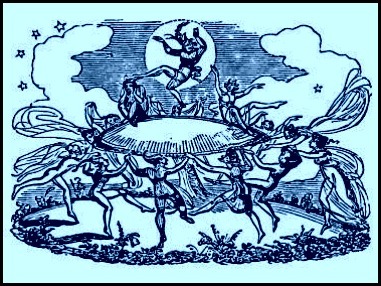 There are stories that link this activity to the “Wild Hunt“. The Wild Hunt legend first developed around the 10th Century. The leader of the hunt varies from source to source. Some variations have it being led by the Germanic god Odin, while others have it led by the goddess Diana, who is said to lead an all-female version. Later folklore stated that witches would transform people into these animals and ride them. … and you were probably in BIG trouble with the church if discovered. 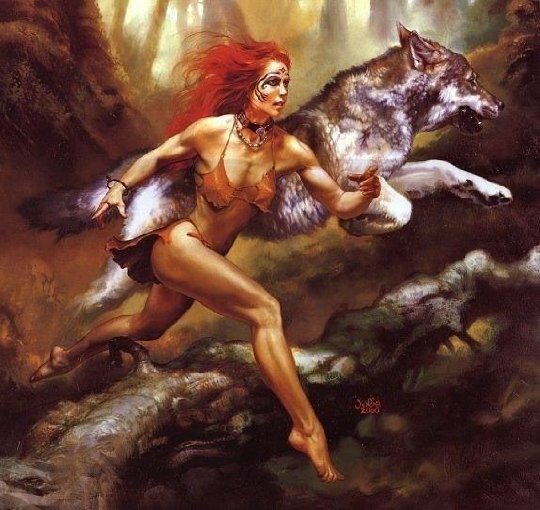 On with the story… “The Cultivation of the Wild Woman Spirit – Can Hair Mirror the Soul? I birthed my new babies at LAMMAS on August the 1st 2013. I wanted a change because I have changed. I felt that my outward appearance needed to reflect that change every time I looked in the mirror. Occasionally I regret it when they are totally bonkers with stray hairs flying out all over the place! But I don’t want my socially ‘safe’ hair back, I am moving forward! As I got older, I became an adept at cultivating that adventurous, confident and free-spirited individual. 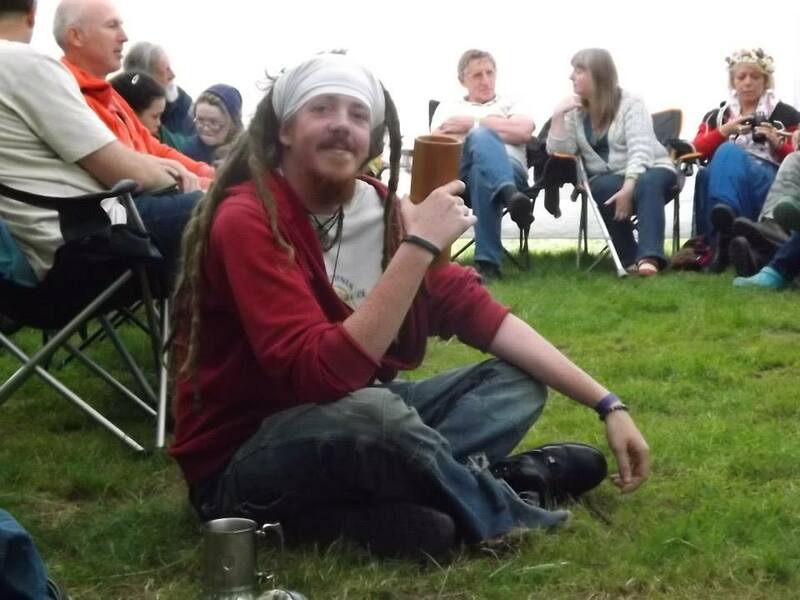 I had experimented with dreads before, well, they were neglected extensioned clubbing-hair, lol, and they were super cool at the time! I chose to have Locs to mark this important Rite of Passage in my life. Being pregnant and giving birth were amazing and incredibly empowering. I loved it. Becoming a first time mum in my forties simply knocked the stuffing right out of my body, lol, and my confidence.